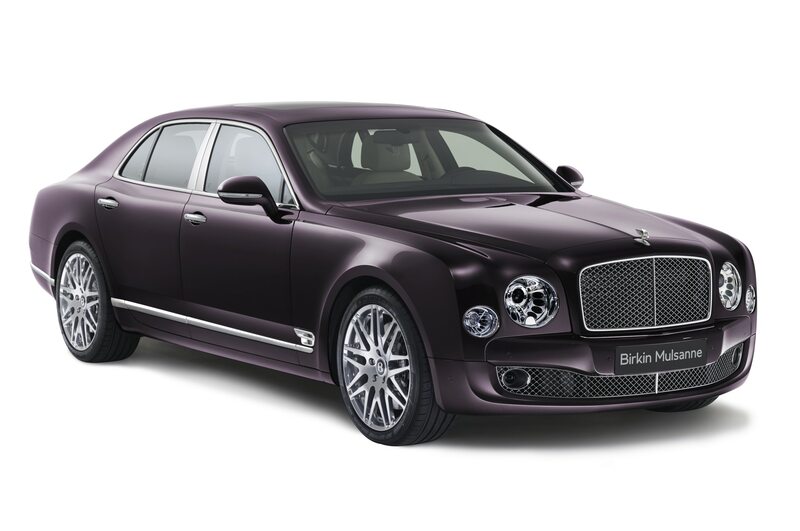 / News / Bentley Mulsanne 95 Special Edition Launched For U.K.
Bentley Mulsanne 95 Special Edition Launched For U.K.
Bentley will mark its 95th anniversary with a limited, special-edition Bentley Mulsanne 95. The elegant chariot boasts an array of British-inspired materials and design cues to honor Bentley’s proud history in the U.K., and as such the vehicle will not be available in any other market. 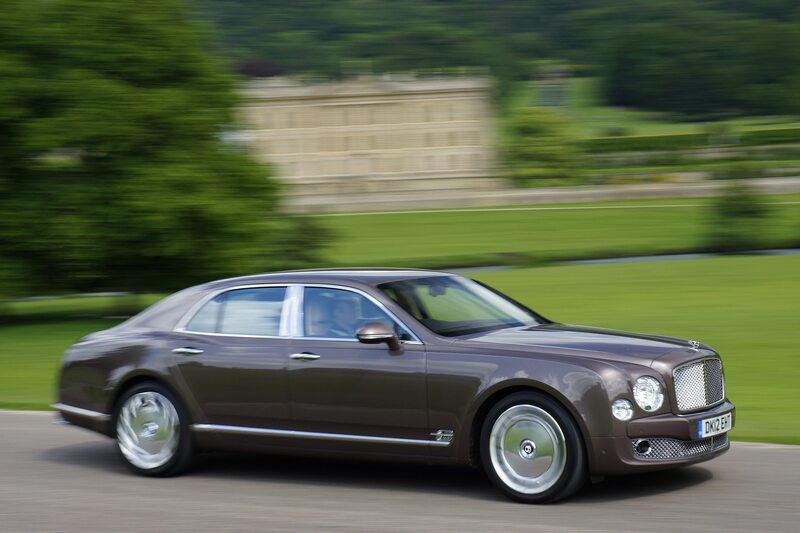 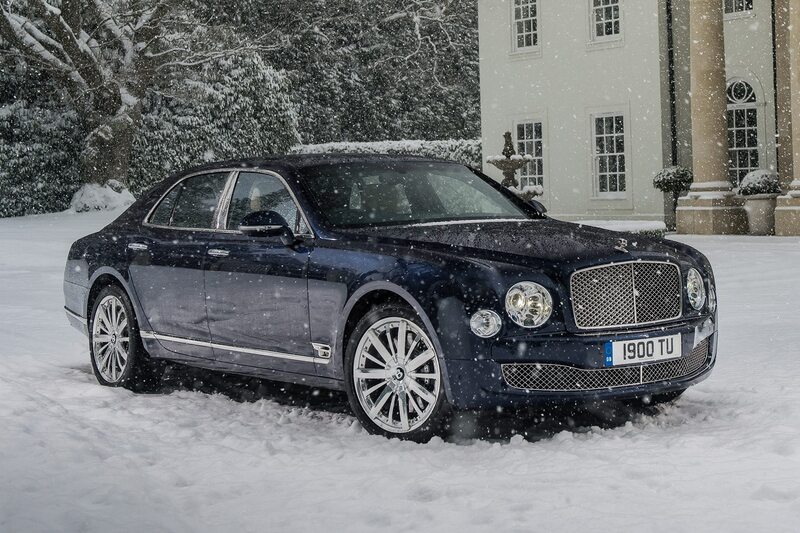 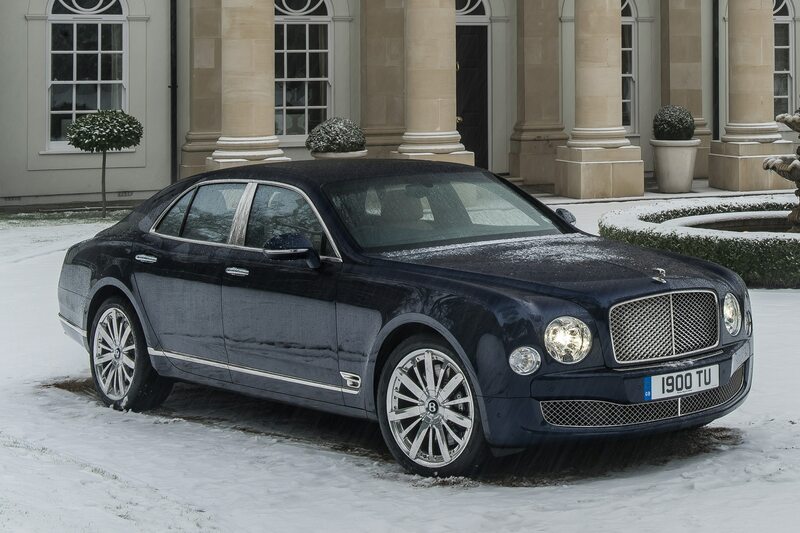 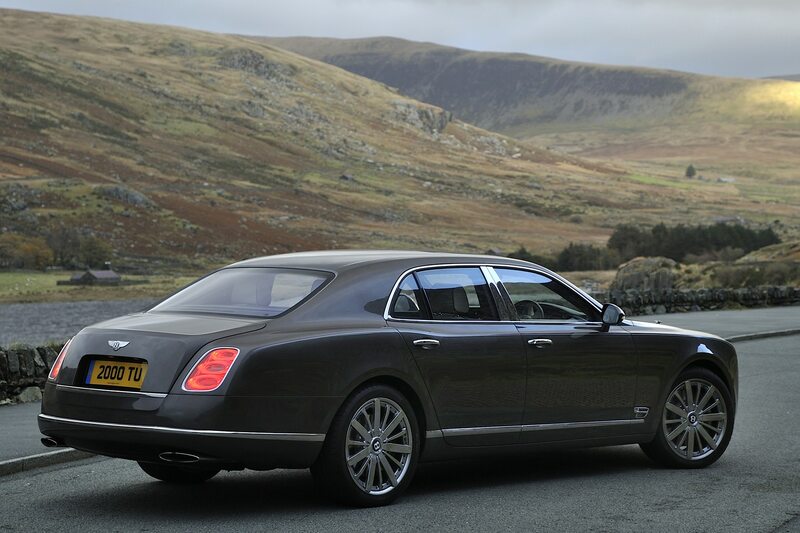 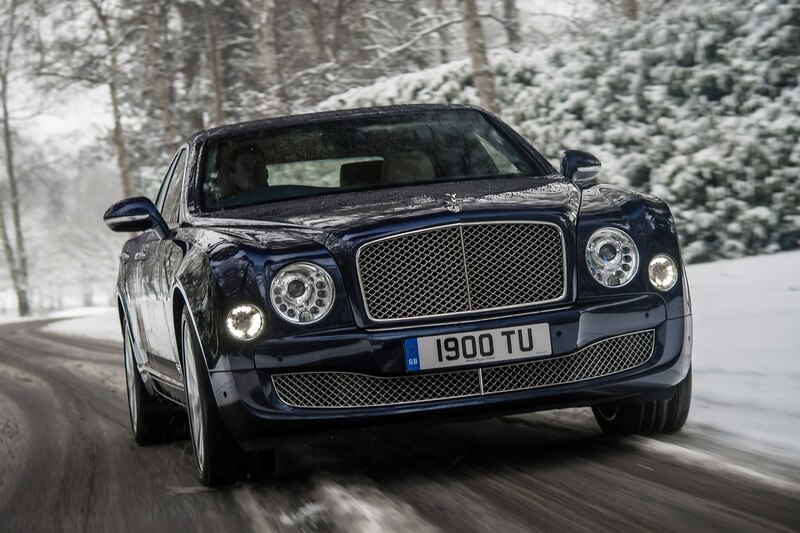 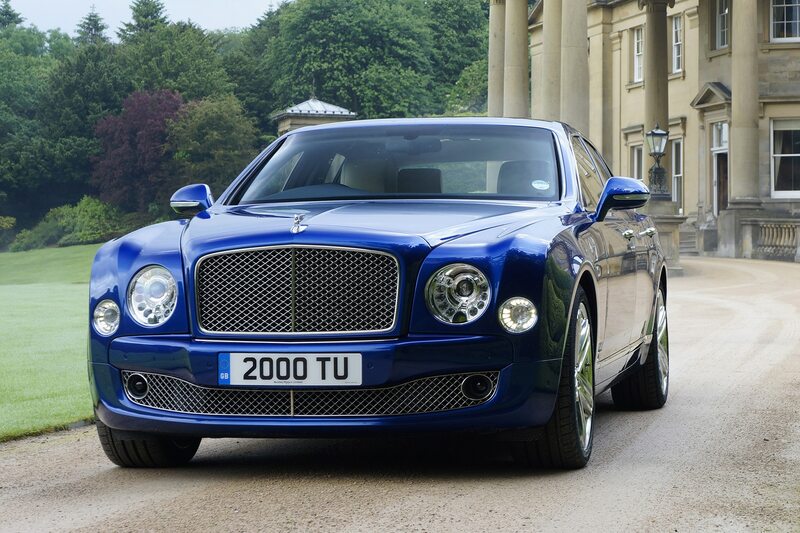 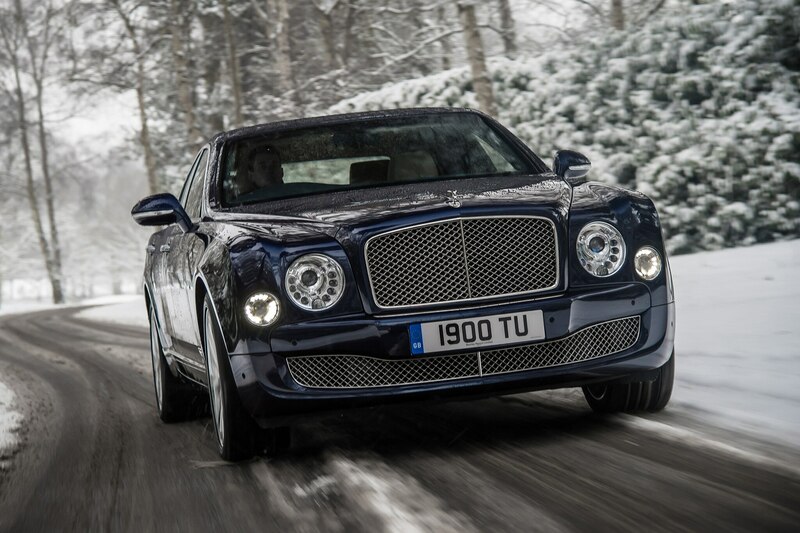 Only 15 units of the U.K.-only Bentley Mulsanne will emerge from Bentley’s Mulliner division in Crewe. 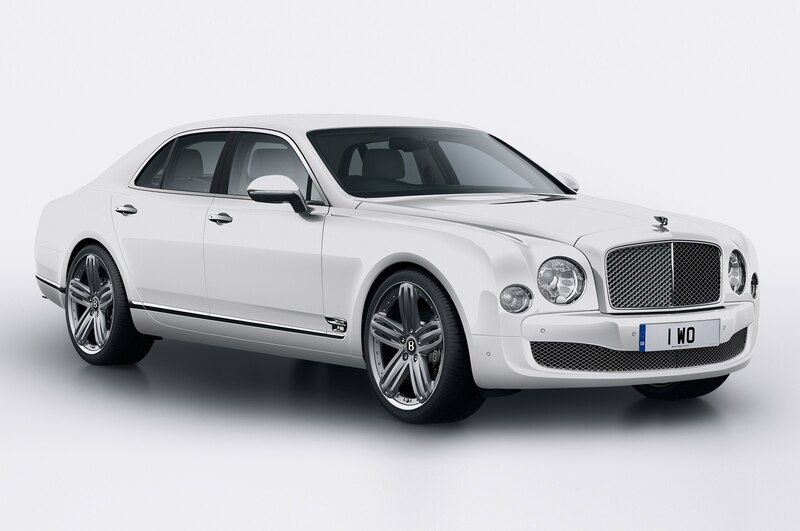 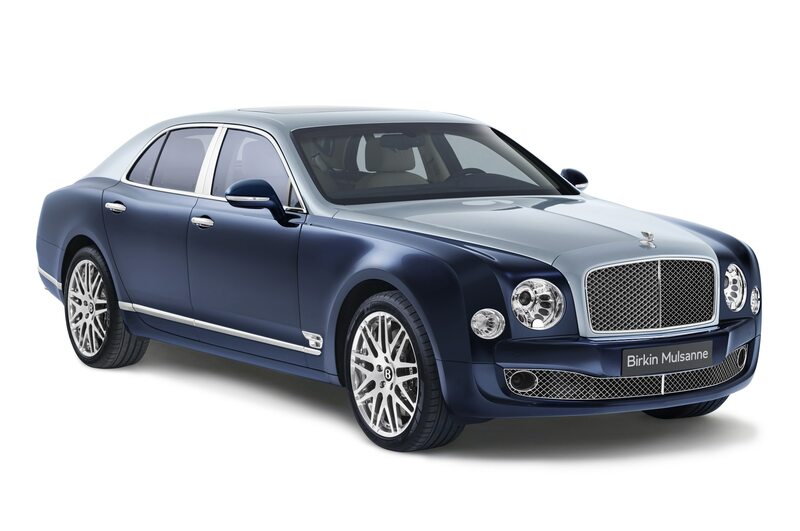 Since the latest version of the Mulsanne debuted at the 2013 Geneva show, Bentley has rolled out other special-edition, limited-market models such as the Mulsanne Birkin Edition and Le Mans Limited Edition. 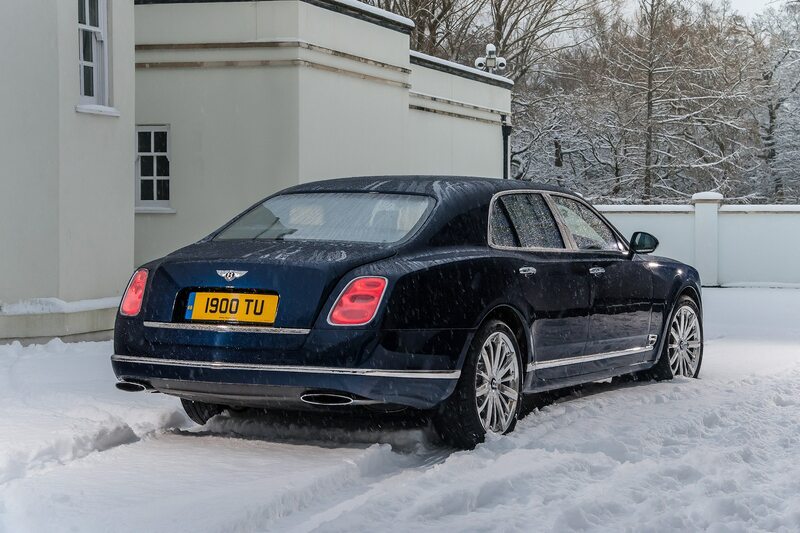 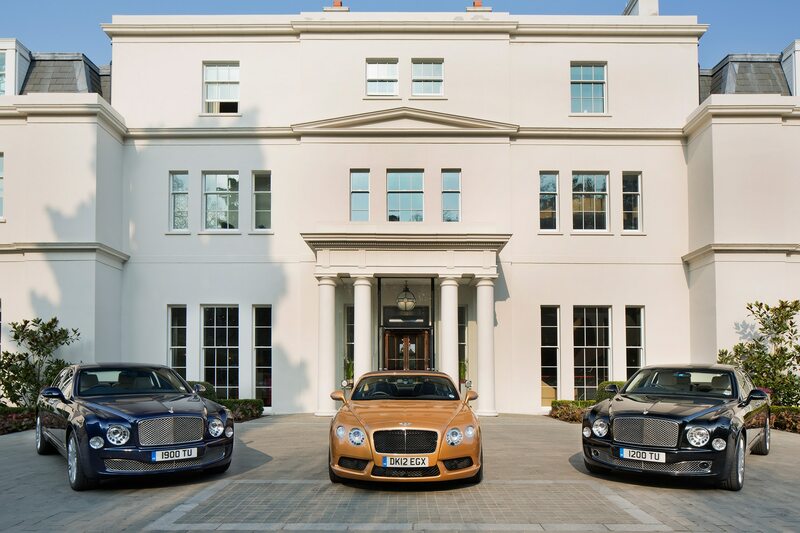 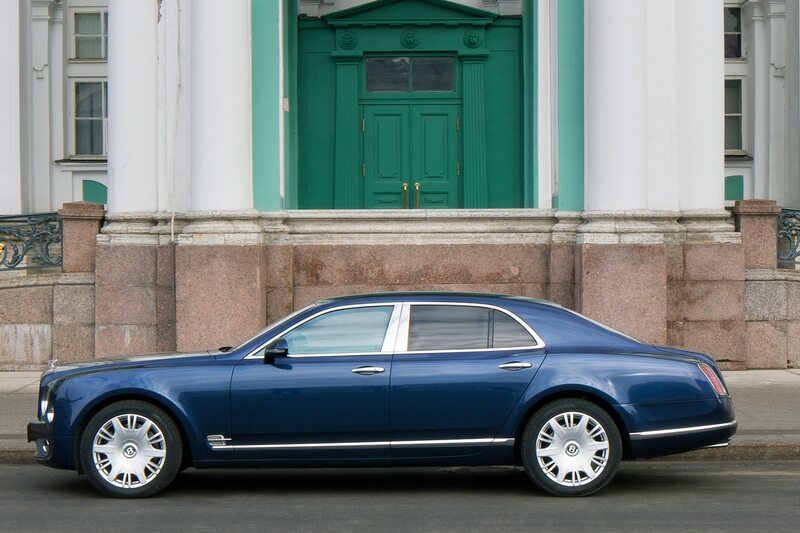 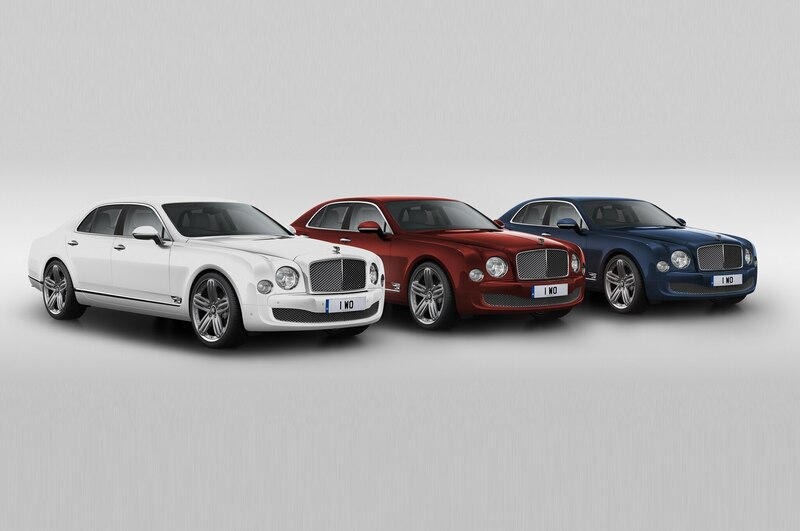 Unique British touches on the Bentley Mulsanne 95 include specially-created exterior colors dubbed Britannia Blue, Empire Red, and Oxford White, reflecting the Union Jack national flag. 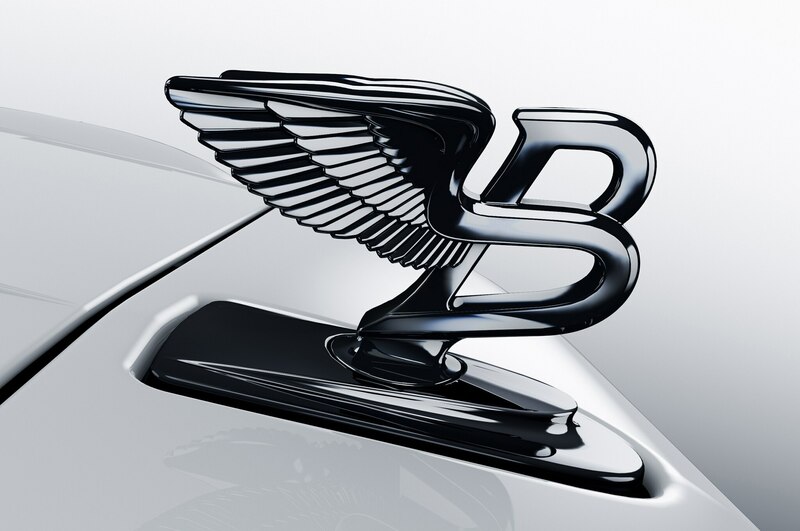 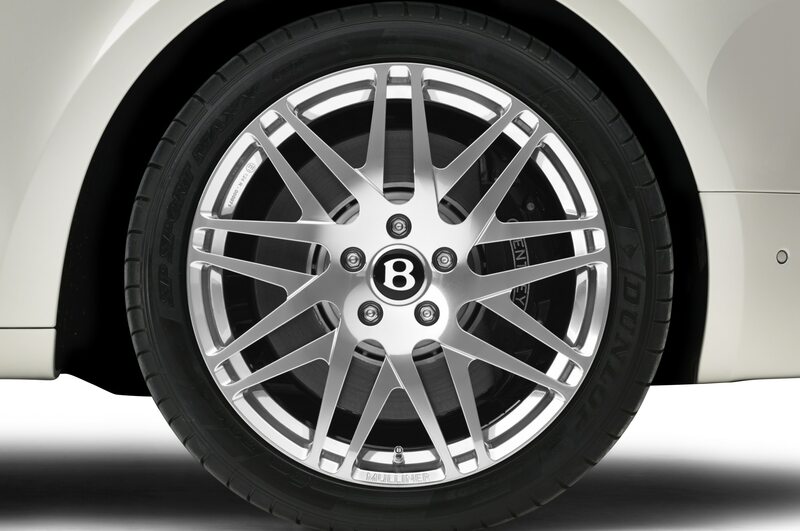 Other striking exterior finishes include a dark-tint finish for the “Flying B” hood ornament and 21-inch wheels. 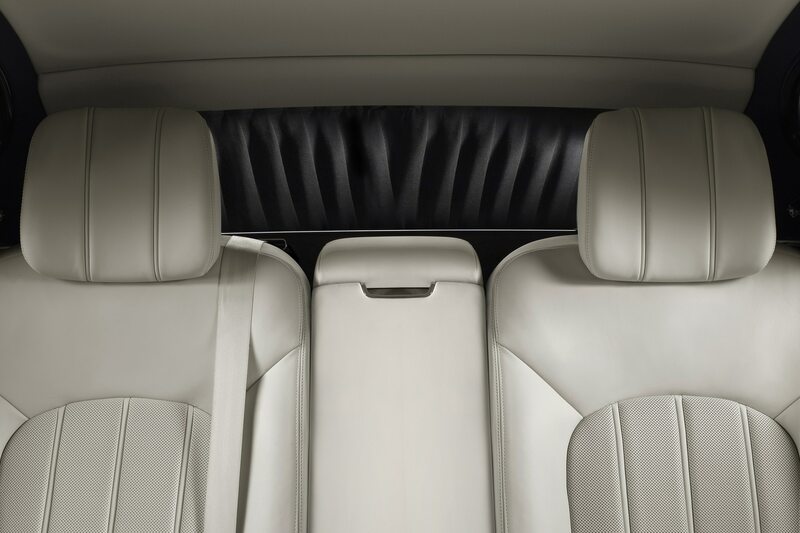 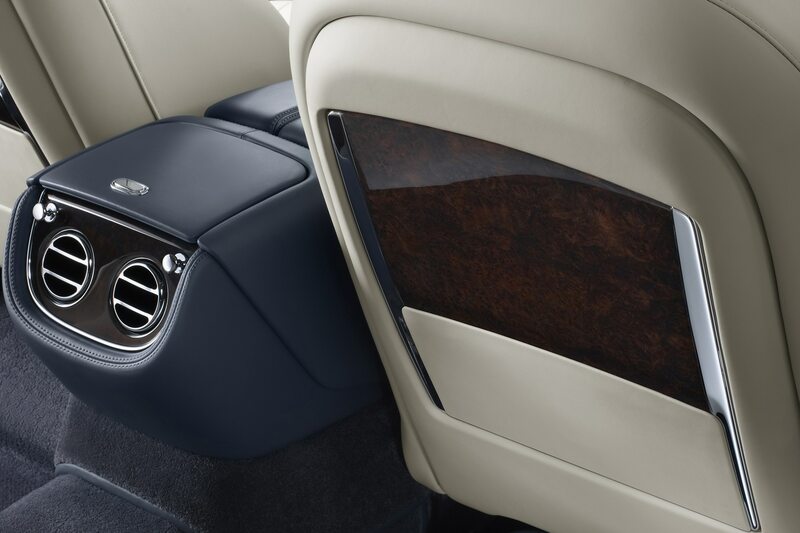 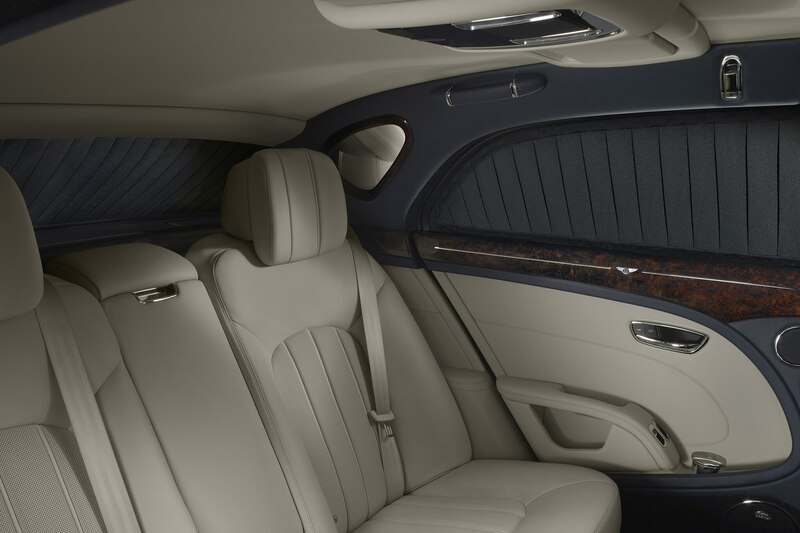 For a more distinctive flavor of Britain and true sense of place, look no further than the Bentley Mulsanne 95’s wood veneer interior. 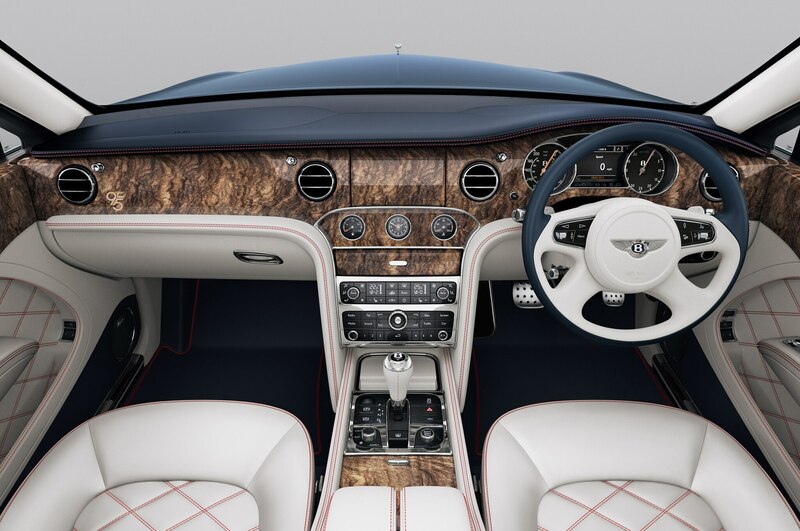 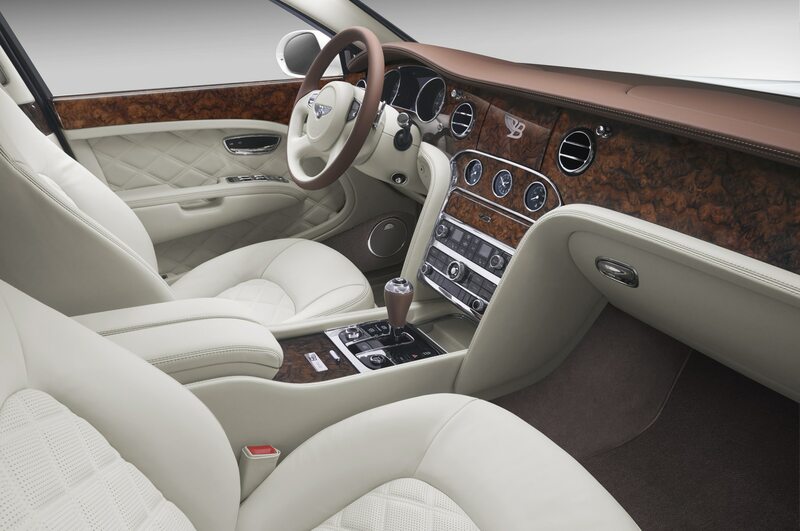 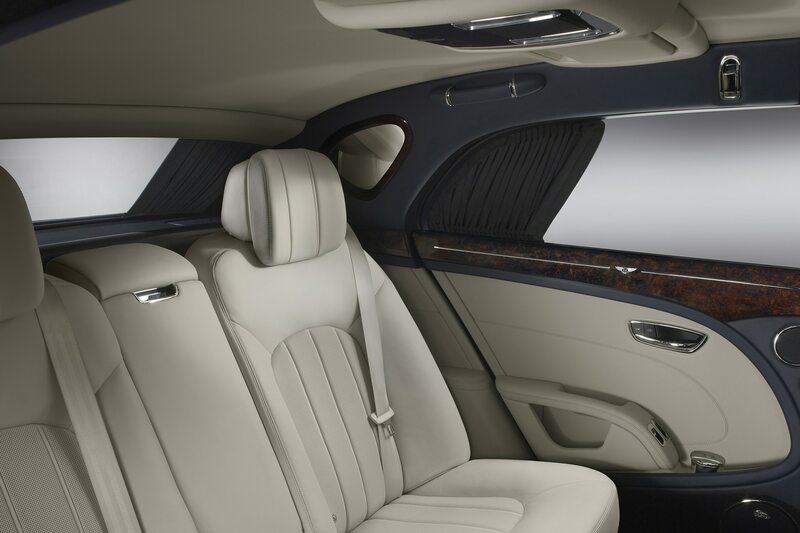 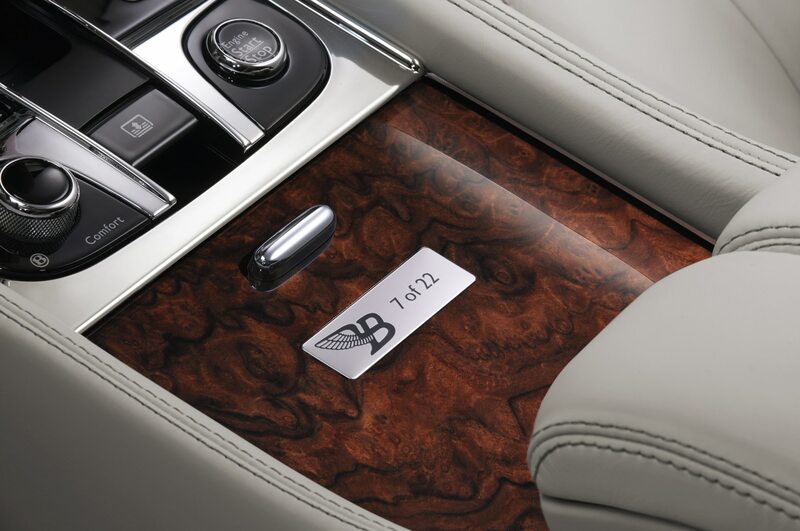 While Bentley is well-known for its craftsmanship and extreme attention to detail, the walnut wood veneer in the Mulsanne 95 is harvested from a massive tree that fell during a heavy storm at Fulbeck Hall in Lincolnshire in 2007. 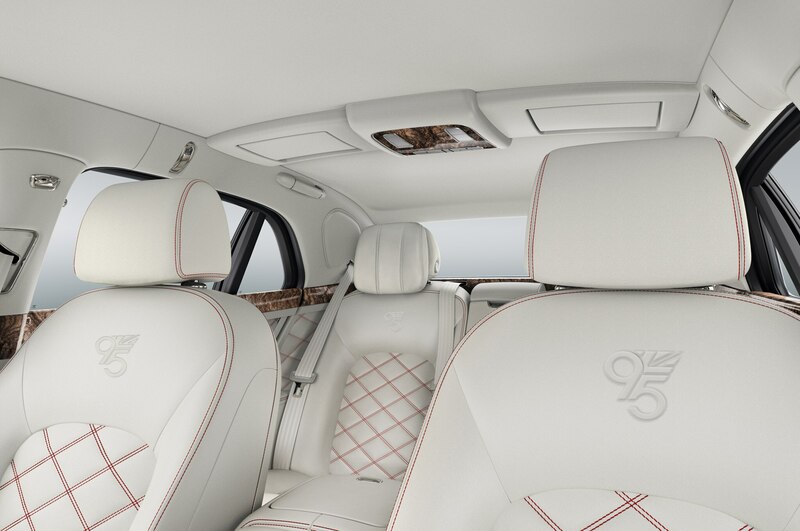 The walnut tree’s 300-400-year age is represented in the wood’s richly ringed pattern, which waves and ripples with energy throughout the cabin. 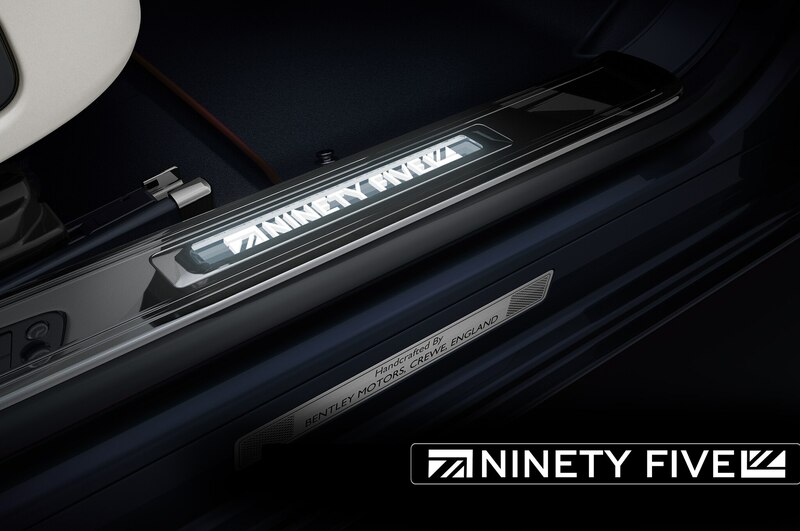 Blue and white two-tone leather completes the sumptuous interior, as illuminated lower door sills bearing “NINETY FIVE” script add a bespoke touch. 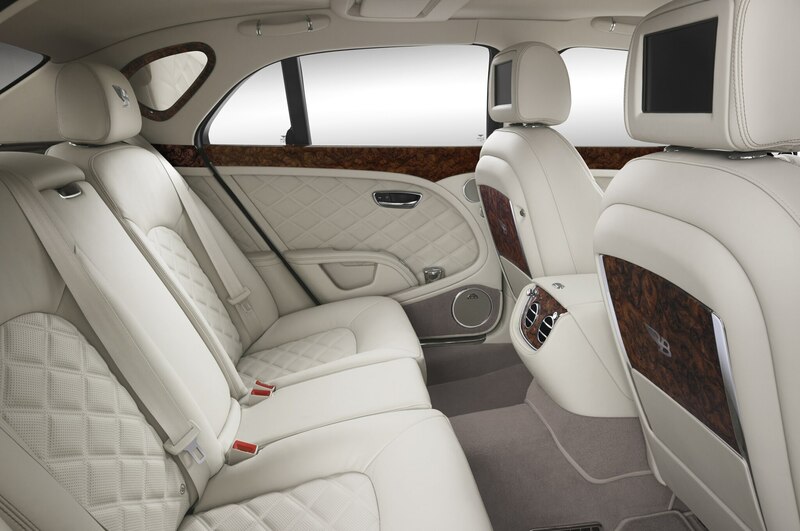 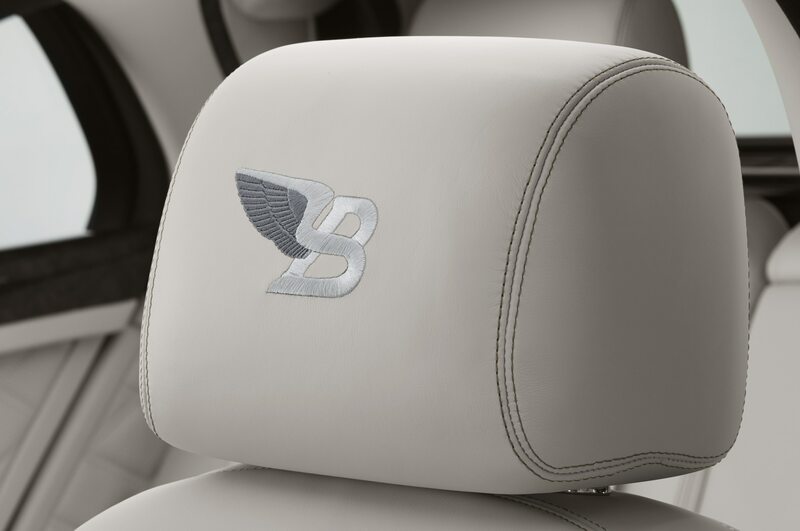 The ‘95’ embroidered logo is further echoed on the Mulsanne 95’s front and rear seats and on the passenger’s dashboard panel. 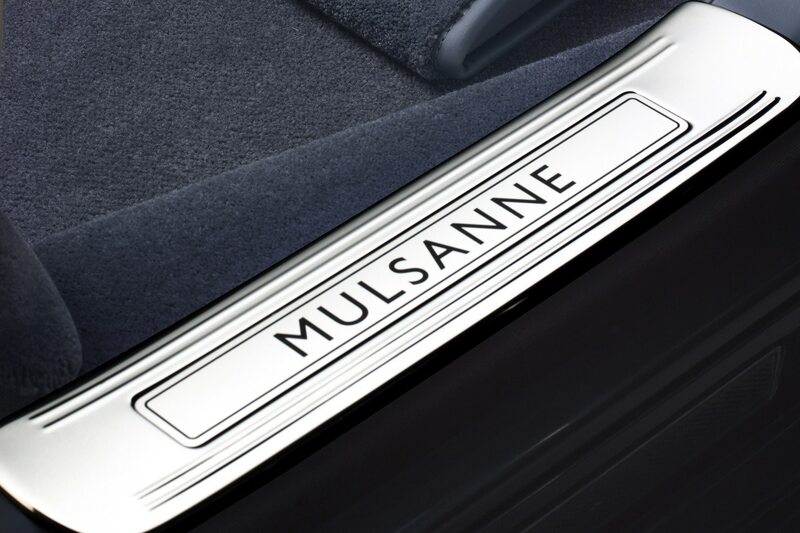 Powering the Mulsanne 95 is the same 6.75-liter, turbocharged V-8 engine, which produces a walloping 505 hp and 752 lb-ft of torque. 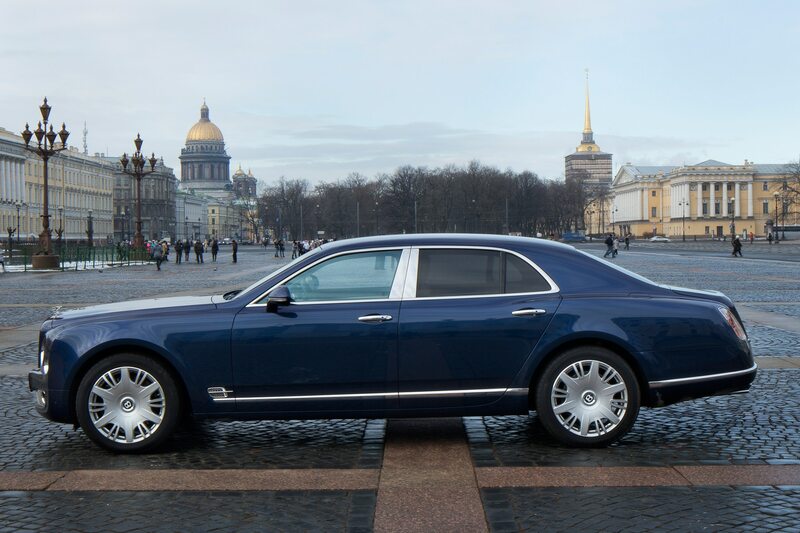 With the combination of its unique interior and sheer presence, the stately Mulsanne indeed looks like a vehicle on which the sun might never set. 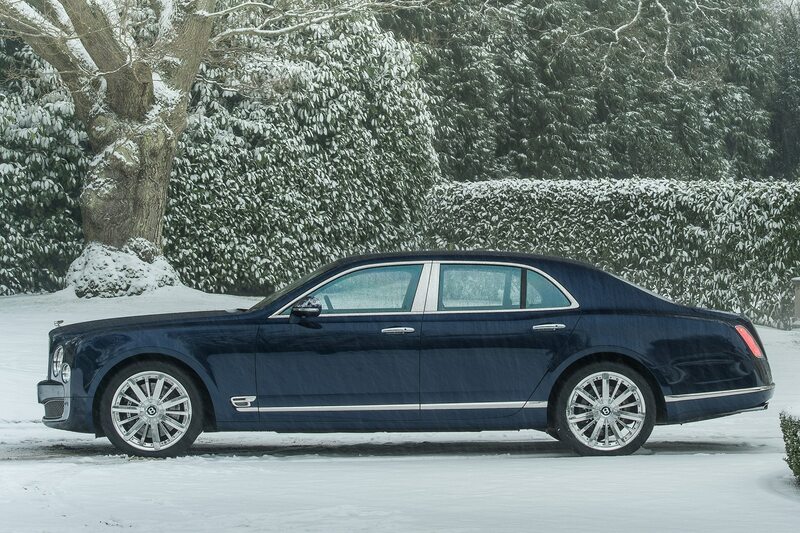 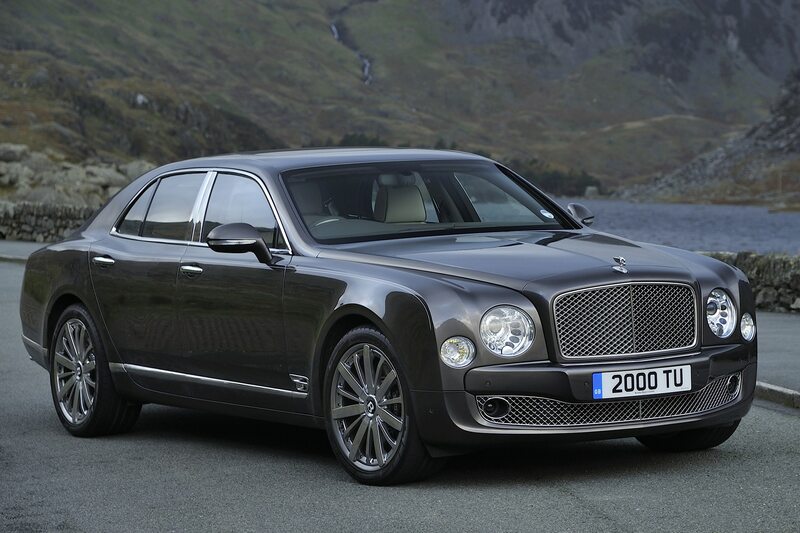 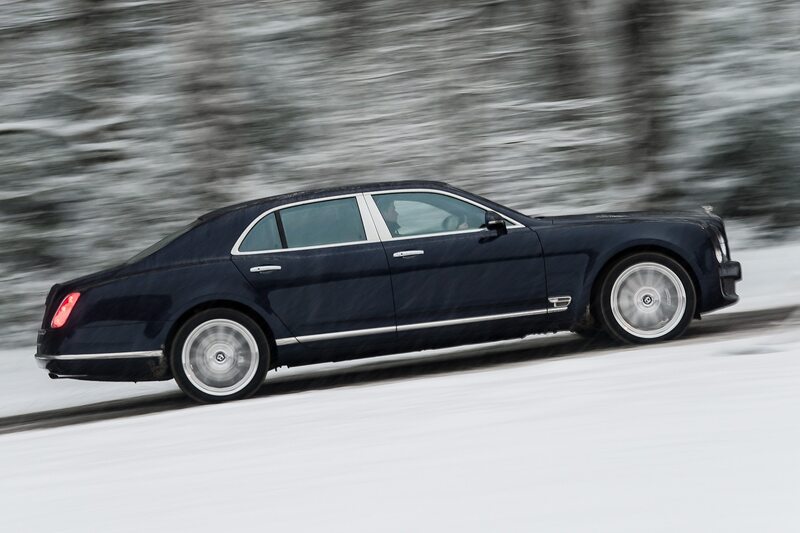 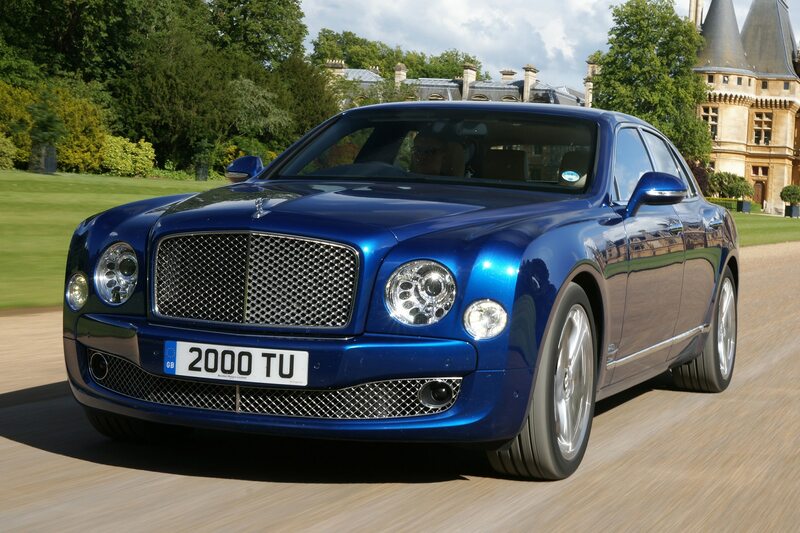 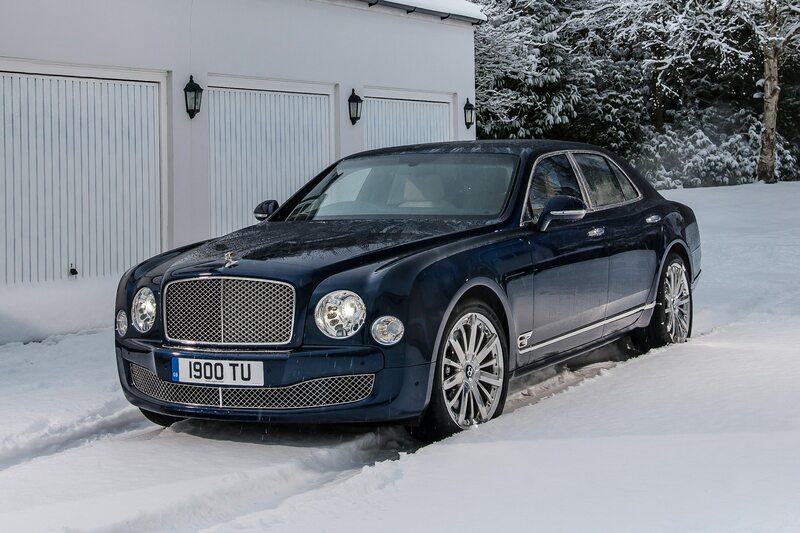 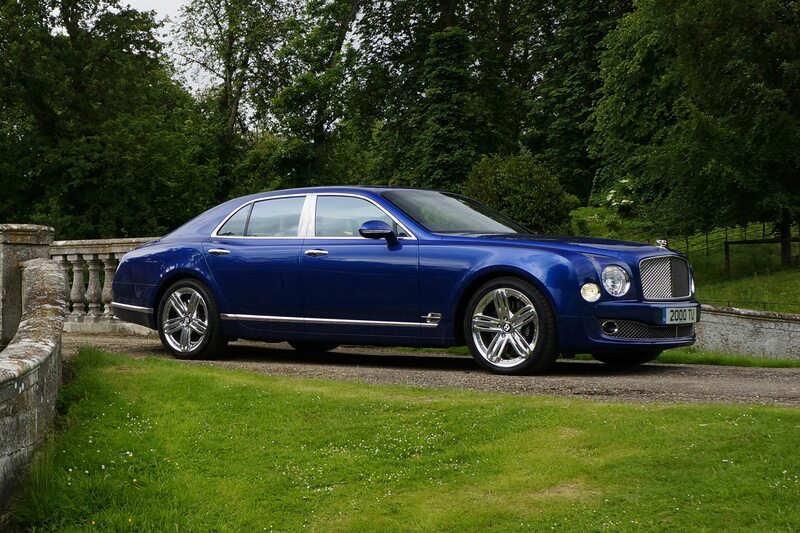 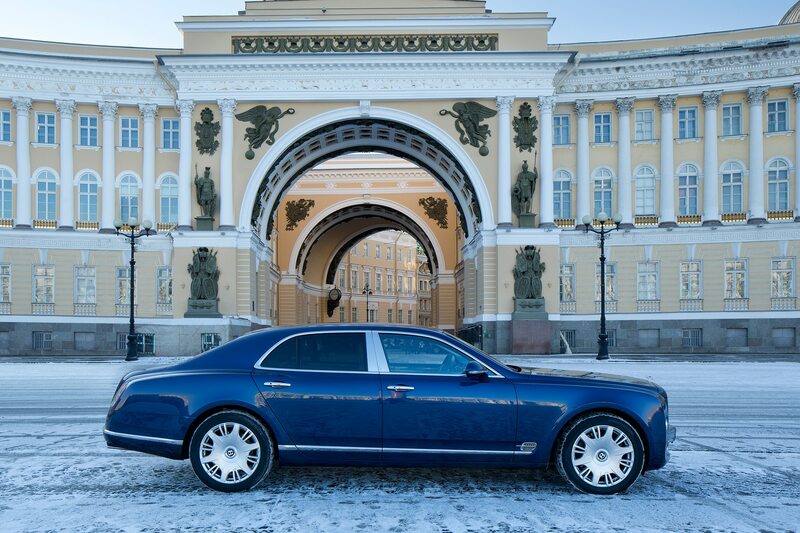 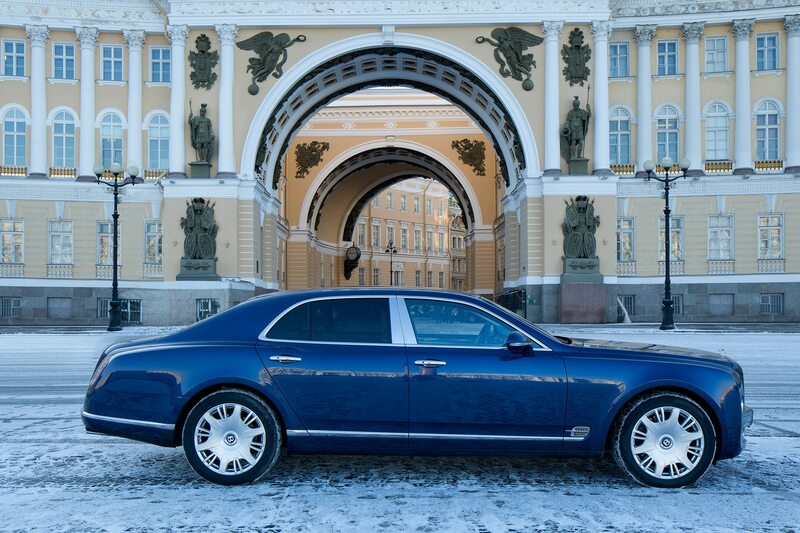 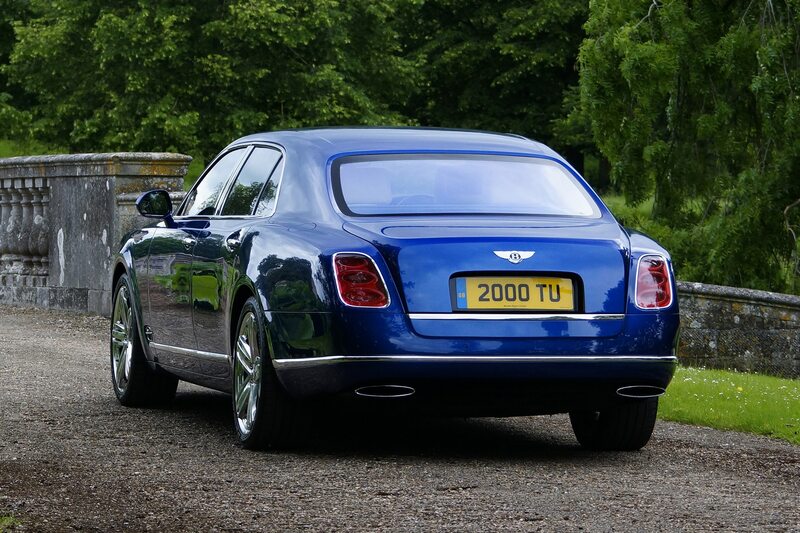 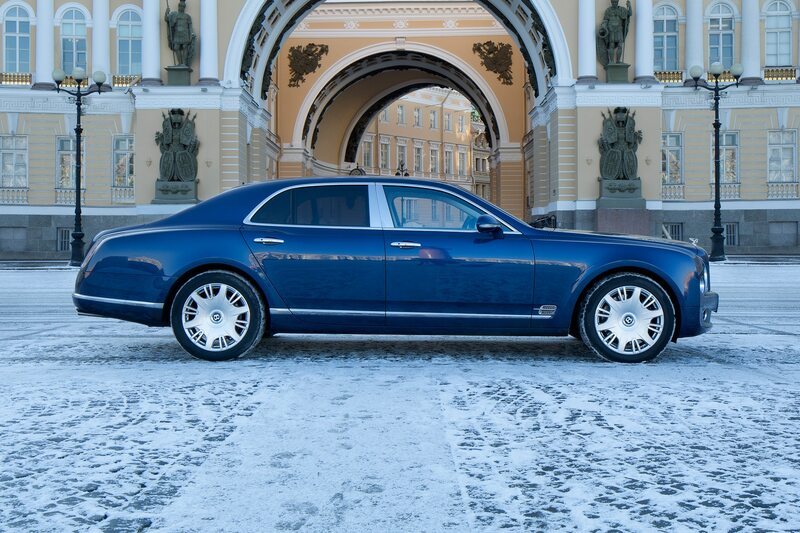 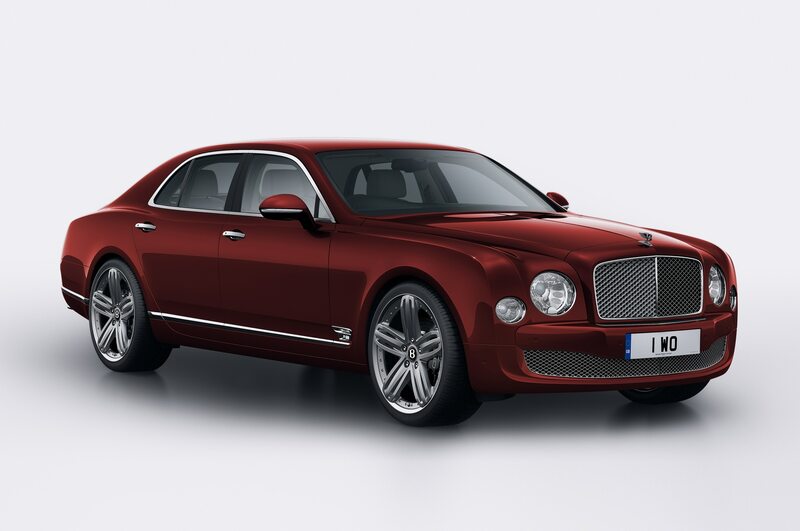 Pricing is still unavailable for the U.K-only Bentley Mulsanne 95. 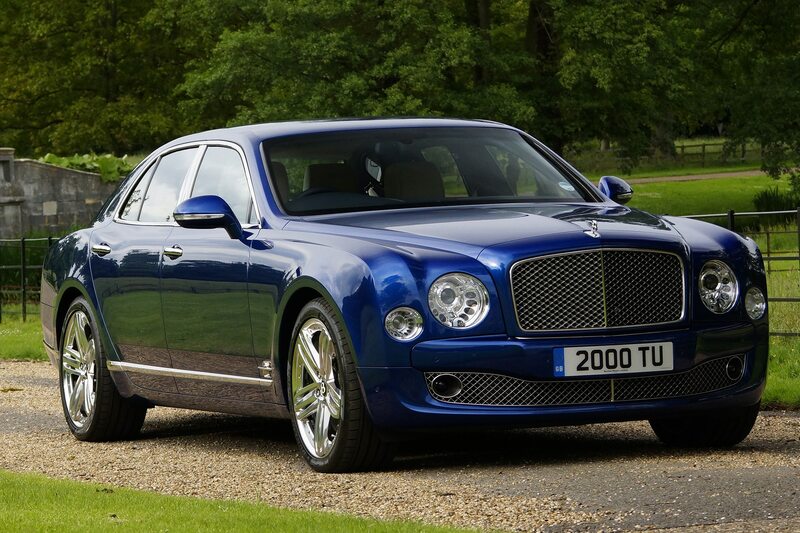 In the U.S., it starts at $302,245 including delivery. 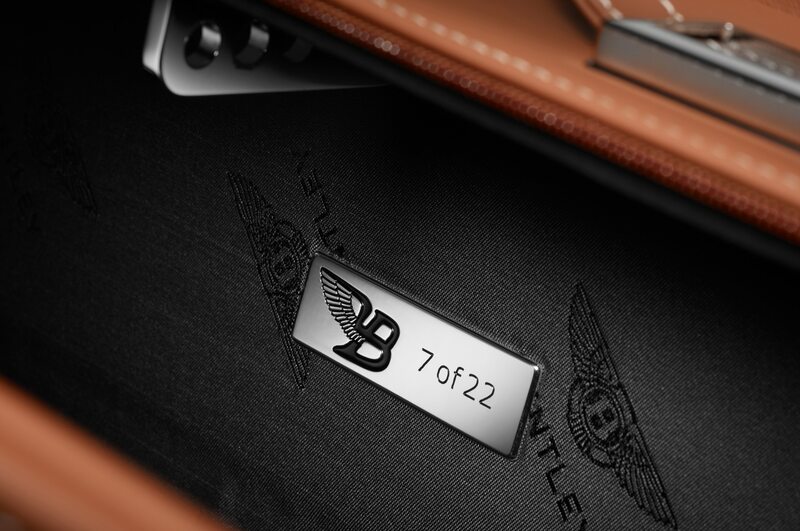 15 U.K.-only units will honor 95 years of Bentley. 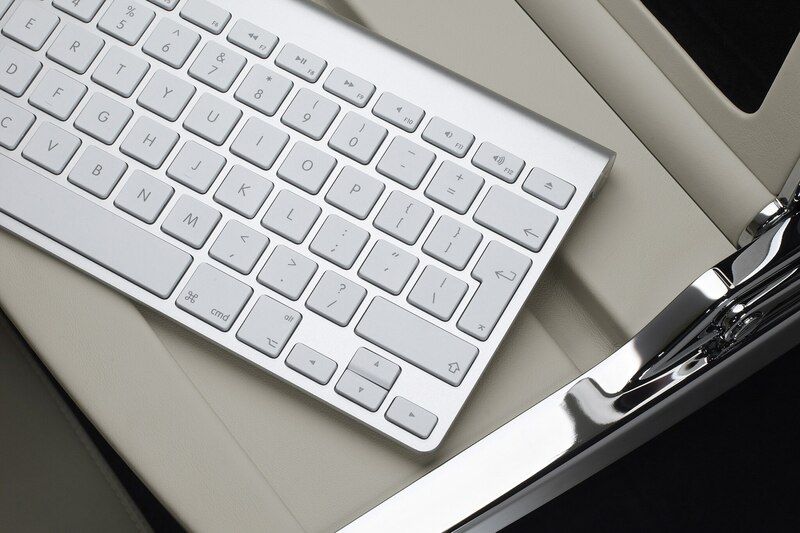 Concept previews plug-in SUV due in 2017. 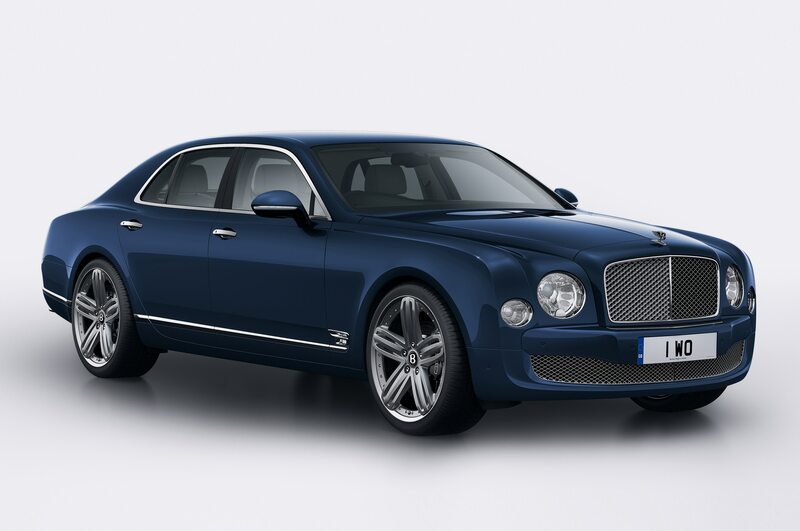 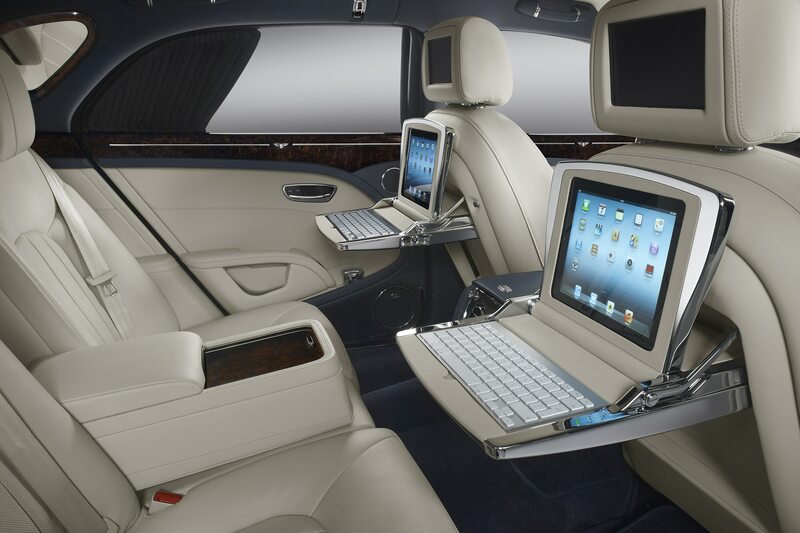 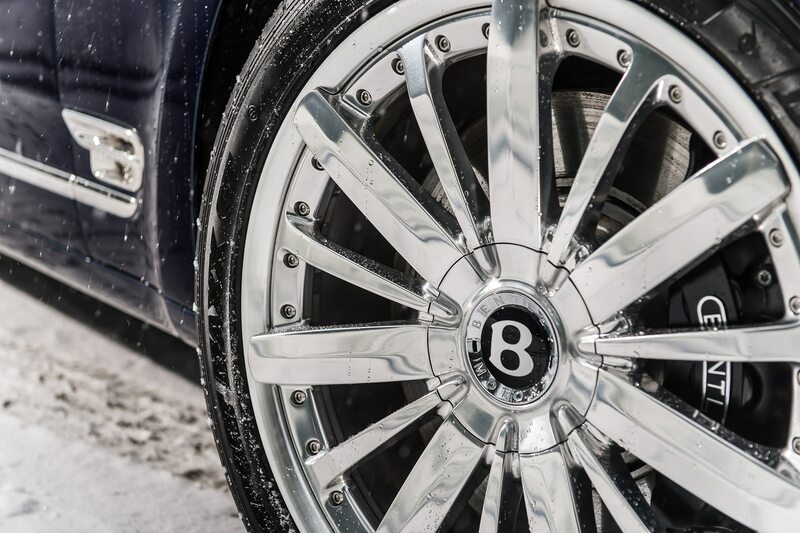 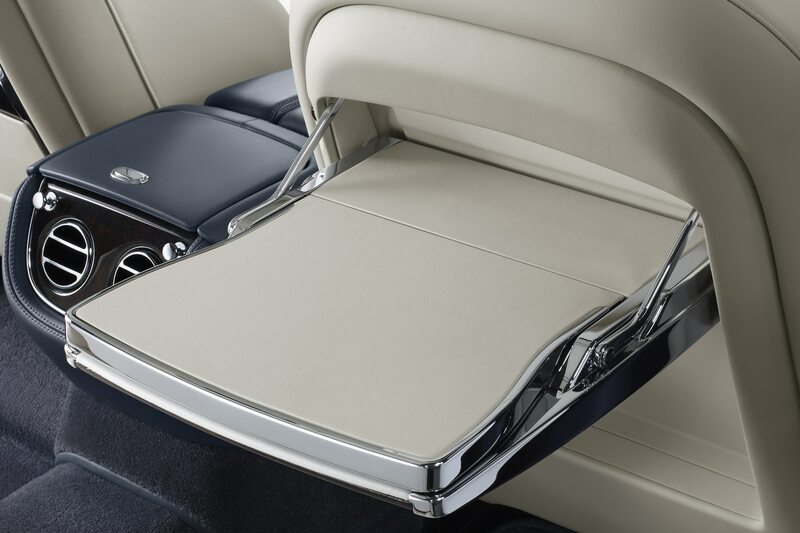 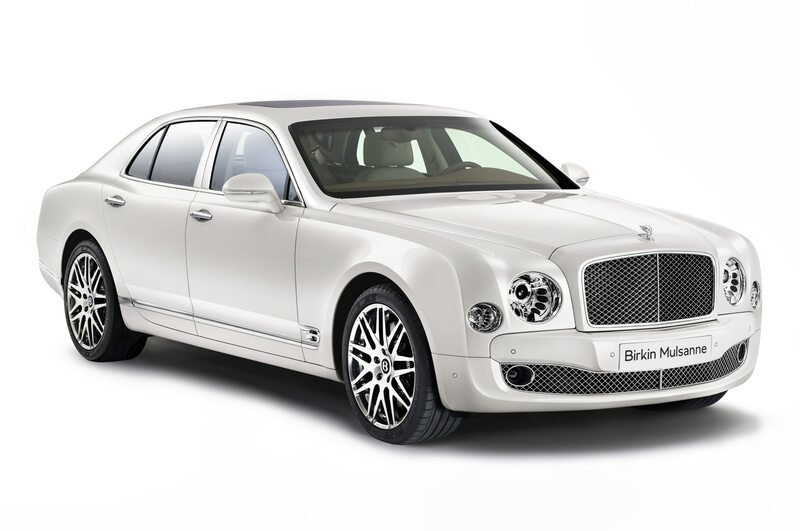 This special Bentley Mulsanne is named after a famed British racing driver.